Researchers from MIT and NASA have developed an airplane wing that can change shape and increase the efficiency of aircraft flight, production, and maintenance, according to MIT News. On a traditional airplane wing, only parts of the wing, like flaps and ailerons, can move to change the plane’s direction. 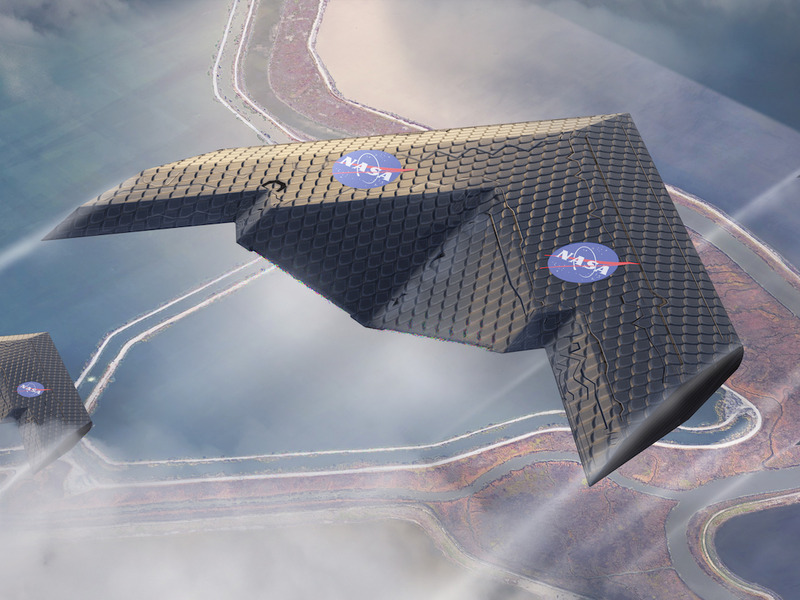 The wing designed by the MIT and NASA researchers would be able to move in its entirety. The wing is made of hundreds of small, identical pieces that contain both rigid and flexible components which make it lighter and more efficient than traditional airplane wings. Since the wing could adjust to the particular characteristics of each stage of flight (takeoff, landing, steering, etc. ), it could perform better than traditional wings, which are not designed to maximize performance during any part of a flight. “We’re able to gain efficiency by matching the shape to the loads at different angles of attack,” NASA research engineer Nicholas Cramer told MIT News. The wing’s parts are arranged in a lattice structure that creates a large amount of empty space and covered in a thin, polymer material. Combined, the wing’s materials and structure make it as firm as a rubber-like polymer (though much less dense) and as light as an aerogel. MIT graduate student Benjamin Jenett told MIT News that the wing performed better than expected during a test in a wind tunnel at NASA’s Langley Research Center in Virginia.